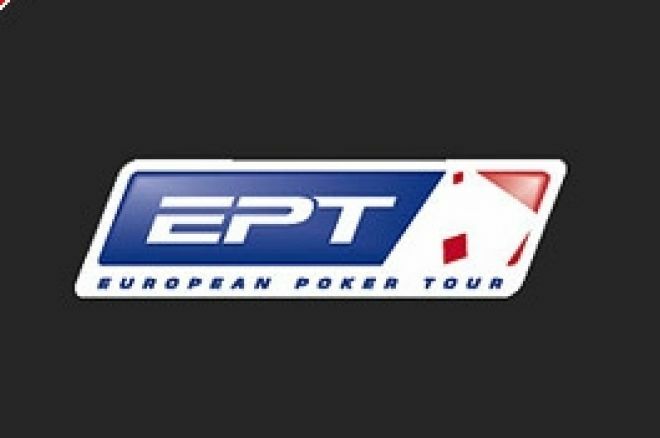 Only 8 players remain in the first leg of the European Poker Tour. We have a mix of unknown internet qualifers and EPT regulars, and of course the UK is very well represented by Mark Teltscher, who doesnt appear to have ever lost a chip since the first card was dealt. Harvard statistics student Greg is too young to even play in a US casino - but he's clocked up some substantial successes online since taking up the game a few years ago. Last February he won a PokerStars $150 tournament for £21,000 and he has grown his $5 bankroll – borrowed from a friend - to some $150,000. Greg doesn't plan a fulltime poker career but admitted he has had "discussions" with his parents about his new pursuit. "Actually they weren't really worried until I starting winning a lot." He may be just 19, but Adam Junglen has already made a real name for himself both online and on the live circuit. Playing as "AJunglen7" on PokerStars, he won the Sunday Million in July for close to $200,000 – adding to a string of impressive tournament results on the site. He also cashed in this year's Aussie Millions and came 5 th in the pot limit event at the Johnny Chan Poker Classic in Canada. Things didn't start so well here in Barcelona - the airline lost his luggage - but Adam's fortunes have changed since then. He survived a table featuring Greg Raymer and Patrick Antonius on day 1B and has been soaring ever since. This is his first final table on the EPT. Young Austrian Nikolaus is having a pretty good summer. In June, he won the Austrian Masters main event for €70,940 and he's also cashed in several other smaller events in Austria in the last year. Known as "RealAndyBeal" on PokerStars, Nikolaus is a Supernova player and cashed W-Dollars for buy-in to Barcelona. He's only been playing a couple of years and normally plays Omaha cash games. A former security guard in Helsinki, Mika Paasonen's life changed 3 years ago when he watched the poker movie "Rounders" with a few friends. They started a tiny-stakes home game which prompted Mika to begin playing online, and, after returning a steady month-on-month profit, he turned professional after just a year. Here in Barcelona, he's been playing a tight-aggressive game and has been among the chip leaders since Day 1. Mark is already had enormous success at EPTs – he won EPT2 London for £280,000 and came 11 th at the Grand Final for €33,500. Sandwiched between those two successes was another huge win - the $5,000 NLHE tournament at the Five Diamond World Poker Classic in Las Vegas, Nevada - for a further $374,965. As of 2007, he has made nearly a million dollars in live tournament winnings. Mark comes from a backgammon and bridge background – and was an Under 18 bridge champion. Sander Lylloff is better known for backgammon than poker – in fact, some consider him one of the best players in the world. He took up backgammon after failing to get into university, and before that he was a junior chess champion. He's no stranger to EPTs and won a side event at the Monte Carlo Grand Final in Season 2. He and fellow finalist Mark Teltscher are room-mates here in Barcelona but claim there won't be a fight if one of them ends up busting the one! Making the final table of EPT Barcelona is Trond's biggest success in his poker career to date. He turned professional 18 months and played at EPT Dortmund last season, getting knocked early in the second day. Patrick Bruel, 47, is known as the first Frenchman to win a WSOP bracelet (1999) and also hosts the French version of the WPT TV show. In his home country however, Patrick is extremely famous as an actor, singer and media personality with over 40 film credits, including Sabrina with Julia Ormand and Harrison Ford. His 2003 album Entre Deux sold over 2m copies. Although he has played many EPTs, this is Patrick's 1st EPT final table. For every single hand from this point on stay plugged to our EPT Live Updates for play by play analysis. Ed Note: Make your own final table at Full Tilt Poker and get a $600 bonus.